Resilience Rescue™ helps restore your skin’s most desirable component of youthful health – supple elasticity. Natural nut butters and Hyaluronic Acid work together to reclaim the skin’s moisture and elastin levels you were born with. This premium formula does more than just moisturize; it penetrates deep below your skin’s surface layers, delivering important nutrients to reignite a healthy, youthful glow. Includes MSM and L-Carnosine to further promote anti-aging synergy. Suggested Use: Apply one pump to desired skin area (face, hands or body) twice daily or as needed. Other Ingredients: Deionized Water, Glyceryl Stearate, Sunflower Oil, Glycerin, Cetyl Alcohol, Shea Butter, Cetyl Palmitate, Mango Butter, Jojoba Oil, Lecithin Phospholipid, Sodium Hyaluronate (containing Hyaluronic Acid), MSM, L-Carnosine, Sodium Ascorbyl Phosphate, Natural Vitamin E (as d-alpha tocopherol), Grapefruit Complex Liquid, Green Tea (Camelia sinensis) Extract. Collagen and Citric Acid. Warnings: Caution: Please discontinue use if irritation of red skin develops, and consult a dermatologist. Resilience Rescue Fact Sheet LIKELY USERS: People using anti-aging products; People with wrinkles or other mature skin problems; KEY INGREDIENT(S): Hyaluronic Acid, MSM, carnosine, nut oils (and nut “butters”) and green tea MAIN PRODUCT FEATURES: Anti-aging skin formula; Helps restore the supple elasticity and youthful appearance of the skin; Penetrating liposome formula delivers nutrients below the skin’s surface into the deeper layers; Aids the moisture-holding capacity of skin cells to improve skin smoothness and softness; Supports collagen and elastin formation for healthier skin structures; Re-ignite a healthy, youthful glow; May improve dryness and itching of the skin (use caution if there are pre-existing skin problems! ); Helps skin repair after “skin peels”; Metered-dose pump; Antioxidant-rich formula detoxifies and aids skin healing OTHER IMPORTANT ISSUES: No artificial colors (natural color may have a bit of variation); No artificial fragrances; This formula is not tested on animals, but does contain soluble collagen from marine sources (fish); Pesticides not detectable; Typical pH is 6.0 to 7.2; Synthetic preservatives, sulfur dioxide and sodium metabisulfite are not used. AMOUNT TO USE: One pump 2 to 3 times daily on desired skin areas SYNERGISTS: Oral supplements of Hyaluronic Acid (HA), Vitamin C, pycnogenol, MSM, carnosine CAUTIONS: For external use only. Please discontinue use if any irritation or red skin develops, and consult a dermatologist if it persists. Refrigerate to maintain freshness for any long-term storage. 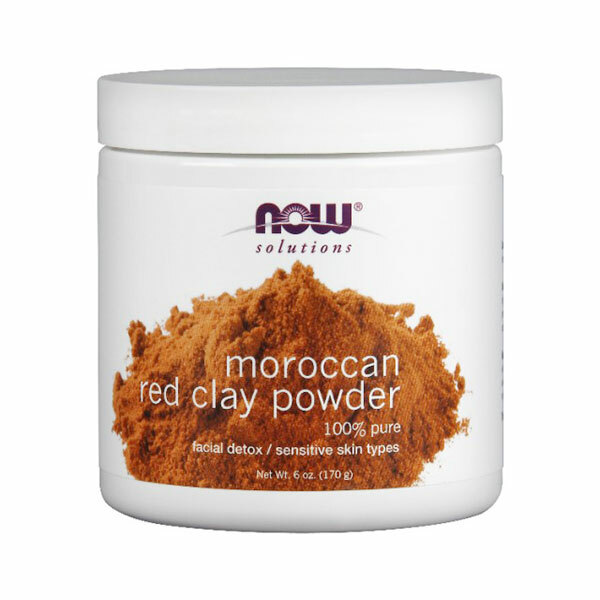 Red Clay – this exceptionally pure powder is highly absorbent and will readily mix with water or moisturizing oils. We also offer French Green Clay as an equally effective clay masque. Mix with water or our Apricots Kernel Oil, Jojoba Oil, or Vegetable Glycerine for best results. Suggested Use: Red Clay is an excellent moisturizing and cleansing facial clay. Mix one tablespoon powder with one teaspoon water for skin application. Apply onto skin and let dry for 10-15 minutes before rinsing. Red Clay consists of naturally occurring Dolomite, Silica, Ferric Oxide, and mineral oxides. Viterol.A® (viatrozene gel) 16% – for Eyes and Corners of the Mouth The latest weapon in the fight against aging Visibly lifts, firms, and brightens the skin Reduces the appearance of wrinkles Removes age spots Clinically proven Preferred by users over StriVecting-SD® Exceptional value Get ready for flawless skin Viterol.A is the first anti-aging aid that contains viatrozene, a new compound that visibly reduces wrinkles and expression lines and significantly improves the over-all skin health. The greatest benefit of Viterol.A is that it is a continuous and safe treatment, the effect of which does not wear off. Bill Lawler, M.D., a cosmetic surgeon with a 26-year history in aesthetics, witnessed the evolution of nearly all skin care products. “Viterol.A does something completely different then other creams. While Botox is still the treatment of choice for deep furrows and certain types of wrinkles, Viterol.A is the most effective topical treatment for fine lines that I have encountered in my practice. There is also a clearly visible improvement in skin smoothness and firmness,” he said. We promise, but how do you really know? You have already seen hundreds of claims from a plethora of skin care manufacturers who pedal seemingly miraculous cures in all types of creams, lotions, and serums and yet more likely then not you were disappointed with the results. So why should you trust our claims about Viterol.A? First, Viterol.A is clinically proven as a successful treatment for the signs of aging. Second, DS Laboratories (the manufacturer of Viterol.A) is so confident that you will see an improvement in the condition of your skin, that you can return the unused portion of Viterol.A and get double of your money back! How many other manufacturers offer this kind of guarantee? Directions: Use at night after totally removing all makeup, apply a fine layer of the lotion around the eyes and use the lotion that’s left on your fingers to apply around the mouth. Complement the treatment with Viterol.A Cream for Wrinkles and Expression Lines on the face and neck. Note: * Viterol.A is recommended for men and women over the age of 30. ** Some irritation may occur at the beginning of treatment. *** Viterol.A increases sensitivity to the sun and it is highly recommended to use sunscreen everyday during treatment. Active ingredient: Viatrozene 16% Other ingredients: Deionised Water, Almond Oil, Nanosomes of Sodium Lactate, Cetostearylic Alchohol, Mineral Oil 70, Nanosomes of Calendula, Nanosomes of Witch Hazel, Nanosomes of Ginseng, Glyceryl Monostearate, Propylene Glycol, Cetrimonium Chloride, Silicon Oil 300, Nanosomes of Urea, Nanosomes of Vitamin A and E, Nanosomes of Pro-Vitamin B5, Nanosomes of Alpha-Bisabolol and Germal II. 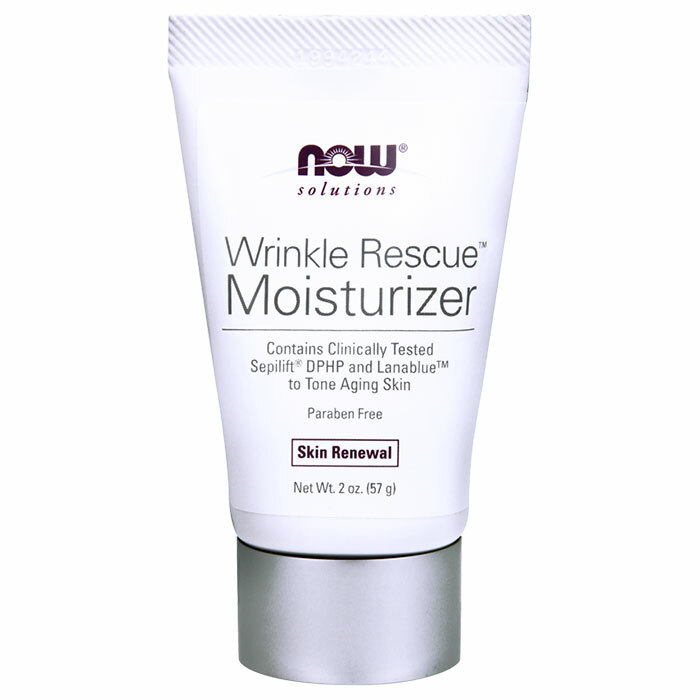 Wrinkle Rescue Cream – Enhanced Formula! Is youthful, glowing, vibrant skin on your wish list? NOW Wrinkle Rescue™ makes it easier than ever to rejuvenate your body’s natural anti-aging abilities. This silky smooth renewal cream contains a luxurious pallet of age-defying antioxidants that shield the skin from the harmful oxidation and damaging UV rays that cause it to crease. Set in a gentle base that contains Vitamin E, Green Tea Extract, Biotin, Shea Butter, Avocado and Apricot Oils, Lanablue® and more, Wrinkle Rescue™ seals in moisture to keep your skin looking and feeling its best. Suggested Use: For best results, apply on clean, dry skin at least 2 to 3 times daily, or more often as needed. Free of: Artificial colors or fragrances. Other Ingredients: Deionized Water, Emulsifying Wax, Avocado Oil, Apricot Kernel Oil, Glyceryl Stearate Stearic Acid, Glycerin Sodium Ascorbyl Phosphate, Shea Butter, Lecithin, Seplift™, DPHP (Palmitic Acid and Hydroxy Proline). Lanablue® (Blue Green Algae). Grapefruit Complex Liquid, L-Carnosine, Collagen, Hydralphatine® Asia (D-Panthenol with extracts of Bamboo, Lotus and Water Lily), Natural Vitamin E, Grapeseed Oil, Xanthan Gum, Potassium Sorbate, Allantoin, Essential Oils (Lavender, Rosemary and Geranium), Squalene and Lutein. Warnings: If irritation or red skin develops, please discontinue use and consult a dermatologist. Disclaimers: This statement has not been evaluated by the FDA. This product is not intended to diagnose, treat, cure or prevent any disease. Natural color variations may occur in this product. This product is not tested on animals. Store in a cool, dry and dark place after opening the product. Do not buy this product if the inner seal is broken. Suffering from dry, cracked or rough skin? NOW Pure and Unrefined Shea Butter may be the natural answer you’ve been looking for. Derived from the Karite tree in Central Africa, Pure Shea continues to be one of our most popular guaranteed 100% natural moisturizers. By adding just a touch of Lavender and Lemon Oils as well as Vanilla extract, this pleasant smelling cream goes to work fast to soothe and condition your skin. Suggested Use: Shea Butter can be used like Cocoa Butter or Lanolin for skin treatment. It has a richer texture and is more emollient than other moisturizers. Shea Butter can also be used as a natural lipstick base or as a softener in skin treatments. Free of: Solvents, fillers, preservatives or chemical additives used in this product. Ingredients: Raw, Unrefined Shea Butter (100% Pure) and a blend of Natural Fragrances (Lavender Essential Oil (Lavandula officinalis). Natural Vanilla Liquid and Lemon Essential Oil (Citrus limon). Warnings: Caution for Microwaving: This jar contains a foil seal. Do not place the jar directly in microwave. Before microwaving, scoop out desired amount and place in a microwave-safe container. Disclaimers: This product will melt at high temperatures and become solid again when cool. This is natural and may affect the appearance but will not harm the quality of the product. Shake and freeze to restore to original condition. Since NOW® Shea Butter is 100% pure and natural, it is normal for this product to become hard, appear granular-like or change color slightly over time. If hard, it can be melted or softened by placing in a pan of hot water for 30 minutes or microwave for a few seconds. Suffering from dry, cracked or rough skin? NOW Pure and Unrefined Shea Butter may be the natural answer you’ve been looking for. Derived from the Karite tree in Central Africa, Pure Shea continues to be one of our most popular guaranteed 100% natural moisturizers. By adding just a touch of Lavender and Lemon Oils as well as Vanilla extract, this pleasant smelling cream goes to work fast to soothe and condition your skin. Suggested Use: Shea Butter can be used like Cocoa Butter or Lanolin for skin treatment. It has a richer texture and is more emollient than other moisturizers. Shea Butter can be used as a natural lipstick base, or as a softener in skin treatments. 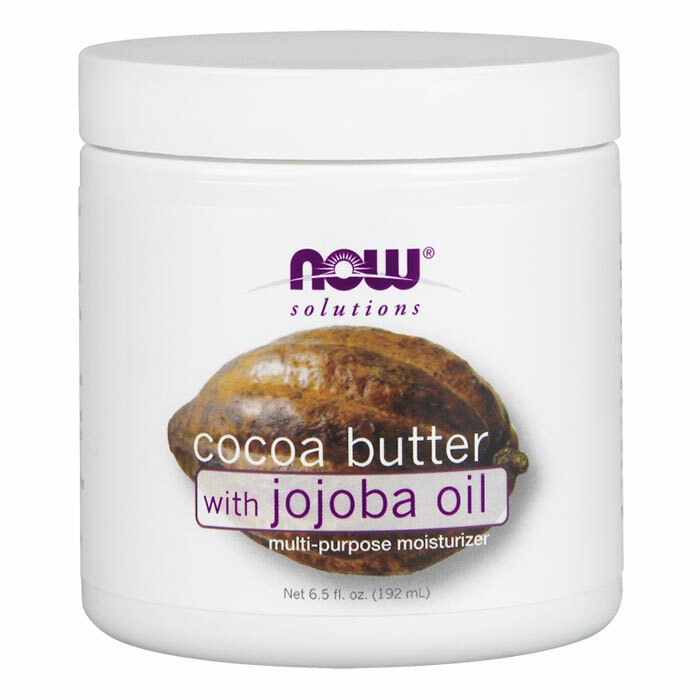 Ingredients: 100% Shea Butter Free of: solvents, fillers, preservatives or chemical additives. Warnings: Caution for Microwaving: This jar contains a foil seal. Do not place this jar directly in microwave. Before microwaving, scoop out desired amount and place in a microwave safe container. Disclaimers: Since NOW® Shea Butter is 100% pure and natural, it is normal for this product to become hard. If hard, it can be melted or softened by placing in a pan of hot water for 30 minutes or microwaved for a few seconds. This product will melt at high temperatures and become solid again when cool. This will not harm the quality of the product. Shake and freeze to restore to original condition. 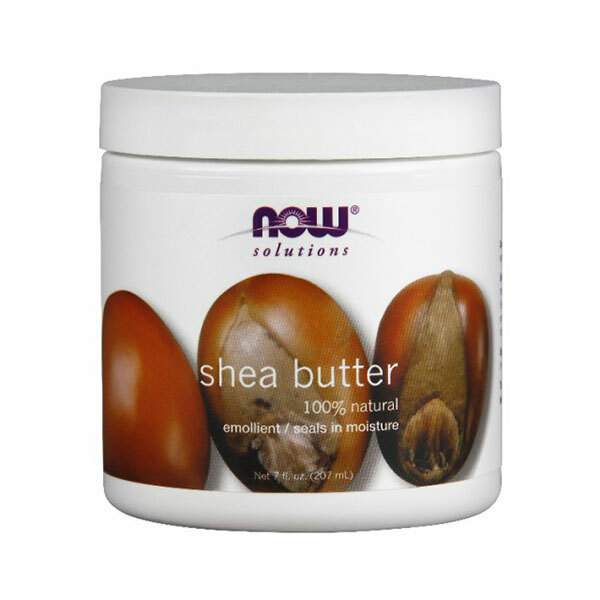 I just bought NOW® Shea Butter, and it is very grainy and difficult to apply? Is this natural or is the product bad? NOW® Shea Butter is a natural product that often settles after packaging. A grainy consistency is not uncommon – in fact, it’s rather common! Simply microwave the container for a few seconds and then stir, or submerse in boiled water for a few seconds and stir to a smooth consistency. Think all cleansers are the same? Just one application of Hydroviton CR, and you will be hooked! Hydroviton CR is the highest quality medicated cleanser to normalize the physiological functions of the skin. Thoroughly removes impurities without disturbing the skin’s natural moisture balance. Deep cleans and removes toxins. Softens and conditions skin. Calms and soothes the skin. Eliminates surface bacteria. Exfoliates dead surface cells. Refines the skin’s texture. Combats environmental assault. Anti-inflammatory and healing properties. Eliminates skin redness and blotchiness. Suitable for people with Rosacea Proving you wrong If you thought that a cleanser is nothing more then a way to wash off dirt, oil, and residue of your face, then you are absolutely right. At least right for the vast majority of cleansers on the market or cleansers you may have tried before. And because of that, you may not be totally prepared for what Hydroviton CR® can do for you – it doesn’t just clean your skin, it completely transforms your skin. The results are absolutely startling; after just one use the skin looks healthier, smoother, more consistent, with a dramatically improved texture. Developed for oily and acne prone skin this cleanser has also proved remarkable for all skin types; due to its intensely moisturizing and calming properties Hydroviton CR can be used on the most sensitive skin without any irritation. No matter what your skin type, this cleanser will work miracles on your face. The very cutting edge of skin care technology Does your face become dry, itchy, irritated, or flaky shortly after cleansing? Or maybe oil starts to break through about an hour later? Do you have large pores and blackheads? Is your skin dull, uneven, or blotchy? Is your skin dry and oily at the same time? Are you starting to develop wrinkles but still have acne breakouts? In short, is your skin simply driving you crazy? Hydroviton CR has been specifically developed to normalize the physiological functions of the skin and is an indispensable part of a healthy skin care routine. The use of low quality skin care products and cleansers can disturb the delicate PH balance of the facial skin – your skin needs to be re-balanced. After just one use skin becomes softer, healthier, and balanced. For acne and rosacea sufferers When most people get an acne outbreak, they usually purchase a harsh cleanser at the local pharmacy containing either salicylic acid or benzoyl peroxide. This is a major mistake! These over the counter products generally dry the skin to reduce oil and remove bacteria, however, harsh over drying of the skin will cause the body to respond by producing even more oil to combat dryness, creating a vicious cycle. This will often lead to more acne or other skin problems. Hydroviton CR medicated cleanser contains organic micro-spheres that penetrate to the deepest layers of the skin to deeply moisturize, while at the same time removing toxins, bacteria, and regulating sebum production. It is the ideal cleanser for acne sufferers that provides immediate results. If you have a mild case of acne, washing your face with Hydroviton CR just once a day is often enough to completely eliminate acne without any additional treatment. The added benefit is that the skin also becomes smoother, shine free, balanced, and healthier. Hydroviton.CR uses the highest concentration of natural plant extracts that are derived from the finest quality raw ingredients. Ingredients: Deionised Water, Sodium Lauryl, Ether Sulphate, Cocoamidopropyl Betaine, Polysorbate 20, Cocamide DEA, Propyleneglycol, Chamomile Extract, Rosemary Extract, Hidroviton, Sodium Citrate, Methyl Paraben, EDTA and Fragrance. Hydroviton CR Face Wash FAQ Q: How is Hydroviton CR different from other face cleansers and soaps? A: During the first week it is possible to see the control of oiliness and the reduction in skin eruptions. Within days the treatment begins to normalize sebaceous secretion, reducing inflammation and making the skin smoother and healthier. 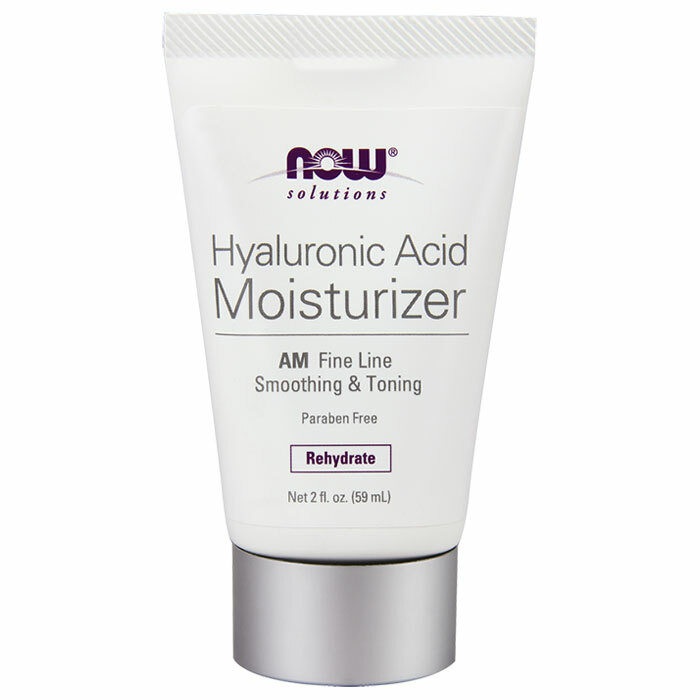 Q: Can I use a moisturizer during the day after washing my face with the Hydroviton CR? A: Yes, as long as the moisturizer is appropriate for your skin type, preferably containing a sun filter. 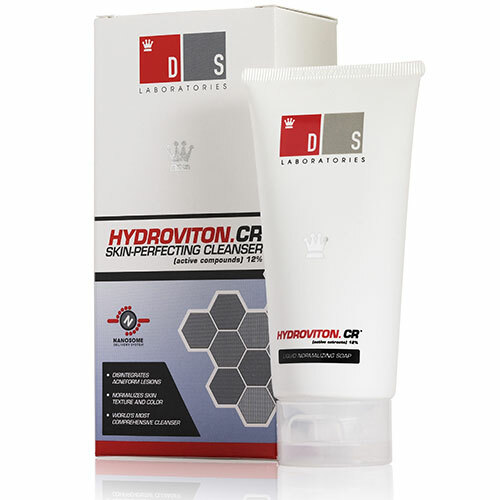 Q: Does Hydroviton CR dry the skin? A: No, because drying the skin causes the body to produce even more oil, creating a vicious circle. The treatment removes excess oil whilst deeply moisturizing the skin at the same time. Q: What is benzoyl peroxide and erythromycin topical? A: Benzoyl peroxide has an antibacterial effect. It also has a mild drying effect that allows excess oils and dirt to be easily washed away. Erythromycin is an antibiotic. Erythromycin topical prevents bacteria from growing on the skin. Together, benzoyl peroxide and erythromycin are used to treat acne. Benzoyl peroxide and erythromycin topical may also be used for purposes other than those listed in this medication guide. Q: How long does it take before the first results can be seen? A: During the first week it is possible to see the control of oiliness and the reduction in skin eruptions. Within days the treatment begins to normalize sebaceous secretion, reducing inflammation and making the skin smoother and healthier. Q: The regimen worked, and I am clear now. Do I need to keep using the benzoyl peroxide? A: Yes, benzoyl peroxide will prevent new outbreaks. There is no cure for acne, just ongoing treatment. Q: If I stop the treatment will the acne return? A: A definitive solution for acne still does not exist, so you need to continue the treatment for as long as the problem persists. Q: Why is it more common to have problems with acne during adolescence and what causes acne in adults? A: During adolescence there is an increase in the production of testosterone (the male hormone present in both sexes), which makes the sebaceous glands more active. During adulthood it is common to experience the same hormonal imbalance due to stress or the menopause. The use of some types of medicine, inappropriate cosmetics, excess exposure to sunlight and eating certain foods can also cause acne in both adolescents and adults. Q: When should treatment be sought from a dermatologist? A: When nodules, hard lumps or cysts form under the skin. In such cases, medicine to be taken orally is usually prescribed, which when used with Hydroviton CR will be even more effective. Q: Can Hydroviton CR cause allergies? A: Hydroviton CR hypoallergenic and therefore does not cause allergies in the vast majority of people. In exceptional cases of hypersensitivity to one of the ingredients, treatment must be stopped immediately and medical advice sought. Q: The second time I bought Hydroviton CR I noticed that it was a different color. Is this normal? A: Yes. The plant extracts contained in the cream can change color depending on the harvest or the way the plants are gathered. Changes in color may be more noticeable in our products due to the high concentration of these extracts and the fact that we do not use artificial colorants.